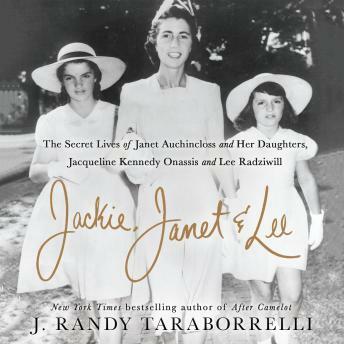 A dazzling audiobook biography of three of the most glamorous women of the 20th Century: Jacqueline Bouvier Kennedy Onassis, her mother Janet Lee Auchincloss, and her sister, Princess Lee Radziwill. Jacqueline Bouvier would marry John F. Kennedy Jr. and the story of their marriage is legendary, as is the story of her second marriage to Greek shipping magnate Aristotle Onassis. Less well known is the story of her love affair with a world renowned architect and a British peer. Her sister, Lee, had liaisons with both of Jackie's husbands in addition to her own three marriages-to an illegitimate royal, a Polish prince and a Hollywood director.